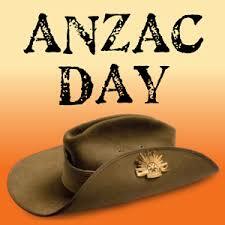 Anzac Day is celebrated on April, 25. each year, regardless of on which day it falls. The day is a public holiday Dowunder. Regrettably, after the Australian Government decided to close in Budapest the Australia Embassy, the umbilical cord was cut off to many Aussies in Hungary. In order for the ANZAC Day to be part of a commemoration, they should have had traveled to Vienna / Austria. To attend at the memorial serve is regardless of nationality. In the „old days” the Ministry of Defense had a major role in implementing , taking part in organizing this event. Nevertheless, in Hungary the remembrance day was most probably kept by heart for many. On April, 25. 1915., the armies of Australia and New Zealand entered into their premier battle of the First World War, at Gallipoli Peninsula in Turkey. In a nutshell … „It was on 25 April 1915 that the armies of Australia and New Zealand entered into their premier battle of the First World War, at Gallipoli, Turkey. At the time, Australia had only been recognised as a federal commonwealth for thirteen years.